[W]e discovered the boldest & most talented photographer around. Sarah’s passion and unique vision captured our wedding in a style that reflects us. Sarah recently took headshots for some of the Partners at my company, and did a wonderful job! She was very accommodating in matching the style of our company's existing headshots, and they all enjoyed working with her. The quality of her work is fantastic, compared to other headshot photographers I've worked with. Sarah recently took headshots of our company's management team and did an incredible job! Sarah made the entire process painless and gave us all the encouragement we needed to get the best headshots possible. I highly recommend Sarah! She is both professional and humorous, which is what is needed when it comes to headshots and photos. After our session, various employees came up and expressed how impressed they were with Sarah. Be sure too book Sarah for your next corporate headshot session, you won't regret it! Never did a photoshoot before. She was very understanding and had a very enjoyable personality. Will use again. I've been following Sarah's work through social media for the last 2-3 years, pretty much since she started, it didn't take long for her to evolve into one of the best photographer in NEFL, thought her pictures, you can see that this is not her hobby, this has become her life, amazing shots that tell a story.Talented, Energetic and Amazing person. Sarah came onsite to our company office to do a day and a half of corporate headshots. She was so great! She completed 75 headshots over a day and a half, and was very quick and efficient. Even people who dread having their photo taken LOVED their headshot picture! A huge thank you to Sarah for being so fun and professional! I would highly recommend Sarah for any of your photography needs. Very pleasant and professional. You can feel the passion for the work she does. Sarah is truly a talented photographer and made our experience so much fun. She really puts in the effort to make sure she can get the captures that you desire to have. Very sweet, and down to earth as well, made us comfortable from the beginning. I would recommend her to anyone looking to get pictures done. We got the family/cake smash pictures with our daughter, and can't wait to have her shoot more pictures of us in the future! I was so happy with the way they turned out. Thanks Sarah for being absolutely amazing at what you do and your passion for it shows 100%! Sarah of Sarah Hedden Photography is WONDERFUL! Our daughter attends Ponte Vedra High School and we were flabbergasted at the prices quoted by the school’s “recommended” photography studio. Our search for an alternative solution resulted in us hiring Sarah Hedden to do our daughter’s senior pics. We couldn’t have been more pleased. She is fun, accommodating, has a super fast turn around time, and produces beautiful work. If you hire Sarah, I’m confident you will be as pleased as we were. She also specializes in maternity, baby, family, and wedding photography. Where do I begin? Sarah is such a talented photographer and so down to earth and funny! She's awesome and I highly recommend her!!! She did my first family pictures with our 5 month baby boy and they look AMAZING! We love Sarah and would highly recommend her to anyone looking for a photographer. Her photos are gorgeous and she makes the sessions fun. We will cherish these photos for a lifetime. God where do I begin? From the day I met Sarah and saw her work I knew she would be my lifelong photographer. When my husband proposed I immediately knew who I wanted! There was no if, ands, or buts about it! My husband was against it at first, but after the wedding he knew we made the right decision. Sarah was not only a HUGE help on the big day to keep everything in line and to keep the bride calm, but she also has such a talent that allowed her to capture my husband in a fashion no one else has seen him as before except for me. Our photos came out gorgeous! We still to this day get raves from family and friends about Sarah and her crew. I’m so blessed to have not only Sarah and my lifelong photographer, but also a friend. I can’t thank you enough! WE LOVE YOU SARAH!! Sarah was AMAZING as our wedding photographer! She and her team got every pic we could have wished for and then some. She has a fantastic sense of humor and was able to keep everyone laughing while still getting all the perfect shots. Our wedding day wouldn’t have been the same without her and I am SO glad we have her beautiful photos to document such a wonderful occasion. Very personable, easy to work with and captured the moment. Thanks for getting me to relax! I stop raving about Sarah Hedden Photography! Sarah is the best of the best and an artist behind the camera. She gets the "money shots" and all those favorite poses brides love! I will continue to use Sarah for any of my photography needs and so should you! She is an amazing person and an amazing photographer! Sarah is FABULOUS! She really knows what she's doing and gets the best out of each person and the scenery. Best of all, she is fun to work with and it shows that she loves her chosen field of work! I had to get a professional headshot done for work and really was dreading it Sarah was wonderful! She made me feel very comfortable and produced great photos that I was proud of. She was efficient with her time and I would recommend anyone go to her! Love her!! She made it so simple and my headshots were beyond perfect! Recommending Sarah to anyone and everyone! Sarah is a phenomenal photographer. Her skills are second to none but she has the biggest heart. My pregnancy was very difficult and we were dealing with a NICU baby. The first time we spoke, she wanted to make sure I was okay and immediately said she would do whatever it took to get my newborn pics. She had a plan and the pictures are gorgeous. She knows how to let the kids have fun but capture the best photos. You CANNOT go wrong with Sarah. If you want a LIFETIME photographer, choose her. Her packages are reasonablle but as the saying goes, “you get what you pay for”! I would choose her alll over again. Sarah will give you the best memories to remember forever! Our engagement and wedding pictures are absolutely gorgeous! I had to book her for my maternity and newborn photos! Behind the scenes she is amazing as well, keeps the vibe positive and fun while maintaining focus on the photos she knows you will want and love. I can not thank her enough for being the perfect photographer and friend. Sarah is the BESTTTTT!!! She has been our photographer for over a year and we couldn’t be happier with all the photos she’s taken. On top of the amazing pictures, Sarah herself is a true gem. She is soooo good with kids. My child is a wild one and she handles her like it’s nothing. She also makes you feel 100% comfortable even if you dislike taking photos. Also trust her judgment!! Some poses may feel weird but she knows what she’s doing and they always end up being my favorite ❤️ We have found our forever photographer! 5.0 She’s a magician with the camera ! Our wedding pictures are flawless! She’s worth every penny !! She has the best personality ! So outgoing and funny ! Never disappoints ! And she gives you sneakpeeks, typically the same night or next day ! Love her ! Amazing experience and awesome results from Sarah. I needed a headshot for my work website and I was NOT looking forward to it; however, Sarah was very responsive and reassuring during the booking process and then during the session she listened to my worries and made me feel at ease. The result was a relaxed smile in the photo and then her magical, artistic touch using her software tools that make you look great without making you look unbelievable. Sarah made a task I was dreading fun and stress free instead. Happy client who will return for future needs. Sarah is amazing! She shot our newborn photos and was extremely knowledgeable and professional! She knew how to properly handle the baby and kept him calm and comfortable through the shoot. The photos turned out so beautiful and we would 100% recommend her!!! Sarah is very patient with newborns, taking as much time as necessary to get great, creative shots. Her work is excellent and the results speak for themselves. Highly recommend! Sarah was great with our girls during their shoot at the beach. She was fun and engaging. The pictures are stunning and can’t wait to see it in our home! Thank you Sarah! Sarah was highly recommended to us for a family beach session, and she exceeded all of our expectations. Given that the photos included our entire family (6 adults, 4 kids three and under), we had a laundry list of different photos that we wanted. And we knew that the kids would not last long given their young ages. In particular, we appreciated the following about Sarah: * Photos are beautiful * Sarah is AMAZING with kids - they all actually look happy and engaged in the photos* Sarah is extremely efficient, much appreciated since again kids have a very short attention span* Sarah is very direct - she quickly tells you what you need to do to get the best shot* Sarah was willing to be flexible given that we were working around some inclement weather and wanted outdoor shotsHighly recommend her for any photos, particularly great with kids. Goodness, where do I begin? I had already checked out her social media and website, and it was clear she was insanely talented, but we weren’t even two minutes into our first consultation and I knew Sarah was going to give us the absolute best photos and experience. She had my entire family in stitches. “Mom, the meatloaf!” Sam and I are super laid back and sarcastic and Sarah was a perfect fit for us! I have never been so comfortable and the entire experience was easy going, fun and we laughed all the way through. Outside of her just being all-around fabulous, find me another photographer who will edit photos immediately so you can have a sneak peak before your reception is even over. That was so impressive and our guests were dying when she posted them! She really paid attention to the small details, too. For instance, it was pretty windy at one location and she took time to fix my hair and make sure to check on my veil, flowers, hand placement, etc. I felt certain that every photo is going to be perfect! Sam and I had never been to St. Augustine so we weren’t sure about where we should take photos. Sarah clearly had done her homework and took us to several locations, each more beautiful than the last. When we received our photos- in less than a month(! )- we were even more blown away. They were gorgeous! We are going to have such a hard time deciding which ones we want to order! We face-timed with Sarah so she could see our first reaction and see me ugly cry! It was just one more special touch she puts on her product and shows that she truly cares about her clients and giving them the ultimate experience. I really do not have enough words to express how beyond pleased we are with our whole experience and our photos. Without a doubt, Sarah is an investment you MUST make! It was an amazing day and her talent is second to none! Best thing? You don’t have to live in Florida to hire her- she travels! I will continue to recommend her to everyone! My family is still talking about how funny and amazing she is! Thank you so much, Sarah! We are so blessed to have crossed paths with you! Would highly recommend to book Sarah to cover any occasion you have. She's the best in business. Amazing person with professionally skilled. Loved the work !!! BOOK HER NOW!! My husband and I are so thankful we went with Sarah for our engagement, bridal and wedding photos. We also did a first look (despite my hubby's reservations about the idea) at a park and the pictures are amazing! Sarah's shining, funny personality helped to make us feel instantly comfortable with her and she was able to catch dozens of pictures I never dreamed I could be a part of! We live 4 hours away from Jacksonville but don't hesitate to make the trip to see Sarah for pictures. Her stunning work mirrors her stunning personality 100%. Thank you Sarah!!! I went to Sarah for an amazing maternity shoot and after she did such an amazing job with that, I went back for my child’s newborn shoot. Once again I was more than satisfied with her professionalism, her patience, and hard work put into her session. She is beyon amazing, and she’s worth every penny. Sarah is the best!!! She has done 2 sessions for our daughter and headshots for our company. She is great to work with and her pictures are remarkable! We plan on using her for a very long time. Love her!!!!!! Best photographer ever! We’ve used her for all of our pre and post pregnancy milestones. Even though we live out of state, we still plan to use her! She’s so talented!! Sarah is an amazing photographer! Sarah is amazing. She makes the session fun and stress free. She worked really well with our newborn and our 18 month old. We will definitely be recommending her to everyone we know. My wife and I just had our first headshots done with Sarah and all I can say is Wow! There is another Word she uses to make you wow and smile that I'd like to say but you will have to call her and get some photos done to find out what it is 🙂 Thank you Sarah for your professionalism and just the skills you have are amazing! We will definitely be back for family shots. Take care. 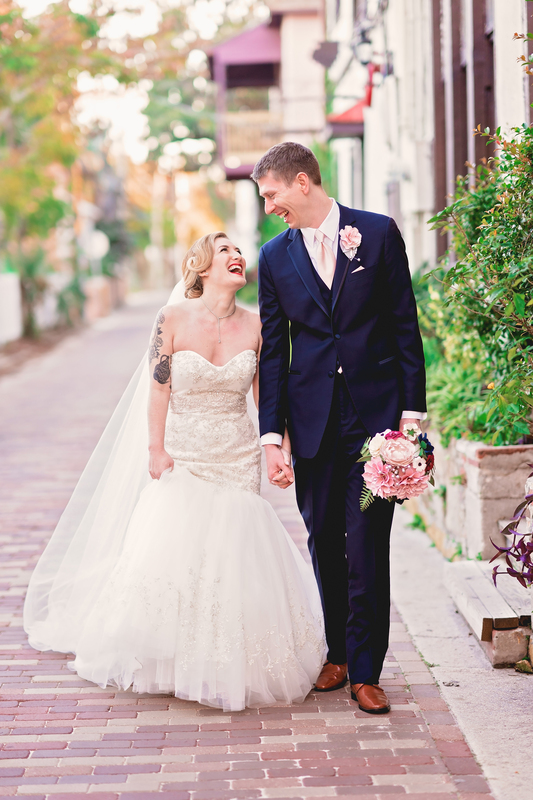 Sarah Hedden photographed our wedding in Jekyll Island, GA this past November. The pictures turned out absolutely stunning! I have heard from so many people how beautiful they are. As a very excited bride, I was also very happy to have access to numerous photos before leaving on my honeymoon, and then to have all of them within a month after the wedding. Sarah definitely makes it hard to choose our favorites! She is wonderful and SO nice! I loved my headshots. I would highly recommend her. If you are looking for a wedding photographer, you do not need to look anywhere else. Sarah Hedden is absolutely amazing!! From the very beginning, she was going above and beyond from sending cookies to bringing an amazing gift on the day of the wedding! It's the small details that really made us feel special! She makes the bride and groom feel so comfortable. Her pictures turned out great! I would recommend her over and over again! Don't hesitate! Hire Sarah Hedden today! I hired Sarah in March for my friend Lauren's Wedding as her wedding gift. Lauren's photos are absolutely stunning! Sarah did such an amazing job, she's professional, and my friends vision of her wedding was brought thru Sarah's photography! I can't wait to get my family session with Sarah! So don't wait, don't look any further! Hire Sarah! Sarah was amazing! She was so thoughtful and fun that most of my guests thought she was apart of my family! She has a graat eye and makes sure all of your memories are captured the way you want them. Not to mention she has such an exuberant personality that you can’t help but have fun in her presence. She was amazing and I cannot imagine trusting anyone else to our memories. I cannot say enough wonderful things about Sarah! Sarah is extremely personable and has an unbelievable eye for detail! I have never been so satisfied with my photos as I am with my wedding pictures! Sarah definitely goes above and beyond for her clients and for an amazing price! I highly recommend Sarah Hedden photography for any occasion that you want to document for a lifetime! She has amazing personality and is an amazing person! Her photography Work is out of this world! My pictures turned out amazing and the way she delivers the first look of your photos to you was so special and I love her! She is worthy every penny and more! She is the best!!! My husband and I just took our maternity photos yesterday. Sarah was AWESOME! She was so funny and definitely made it a memorable experience. My husband has always been skeptical about taking professional photos, but after working with Sarah - his thought process has completely changed! She was honest when we looked awkward and ensured we were both happy with the photos. We even got to take funny photos that captured our personalities. We also signed up for newborn photos with Sarah. Definitely looking forward to those in a few months! If you are looking for a photographer to capture realistic and memorable moments; don't hesitate - contact Sarah ASAP. You will not regret it. We just looked at the pictures. We absolutely love them! We're so happy we chose you as our photographer. Your ability to capture the smallest of details is astounding! The hardest part of having Sarah produce my daughter's Senior Pictures is choosing my favorites!!! I'm just going to have to buy them all! Sarah agreed to do a shoot in St. Augustine while we were on vacation. She helped arrange Lanie's hair and make up and met us at the salon with a plan for the shoot. Sarah had great locations picked for us and even backups when our first choices weren't available (large beach crowds). I was worried about lighting because of a storm rolling in and darkness approaching, but as you can see the beach pictures turned out fabulous. Trust Sarah, she will NOT let you down, she and her work are both completely awesome! We love you Sarah, THANK YOU for providing us with these memories that will last a lifetime! Amazing! We were very pleased with how our newborn photos turned out. Would highly recommend!! Sarah is an amazing photographer! When I had my senior pics taken with her she was funny and made me feel comfortable! She just recently took my bands pics and they came out so awesome! I would definitely recommend her for any pictures you need! Sarah was amazing!!!! The one thing that you do not want to cheap out on is your photographer. We couldn't be happier with our decision on choosing her to photograph our wedding. Sarah is hilarious and makes the whole experience fun. Sarah Hedden Photography will be in our lives forever and there will be more pictures to come of our new addition in a few months!!!!!! Thanks again Sarah!!! Sarah was very good in taking pictures of my special need daughter , she made the experience more fun with her approach. The price is also reasonableKeep the good work Sarah! Sarah was great to work with from start to finish. When planning our wedding, I never stressed about photos because I had Sarah as my photographer. She listened to my requests and took the pictures she knew I wanted. She was also great at taking pictures I didn't know I wanted but knew I would love. Sarah was amazing! More then just a photographer, she takes her job serious and wants to make sure your memories will last forever! Recommend her 100%!!! We had Sarah photograph our engagement session in August 2016 in Savannah, Georgia. She is the perfect balance of professional and fun. Sarah has an incredible personality that made us feel relaxed and like we have known her for years. She also has a real knack for choosing locations that will make incredible back drops and for shooting pictures that make, even people like us, look like models in a magazine. To top it all off, she had edited all of our photographs and sent them to us before we even woke up the next morning. It is evident that she loves her job and cares about doing her absolute best work for her clients. My fiancé and I cannot wait for her to photograph our wedding! Working with Sarah was a great experience on so many levels! My husband and I decided to elope. As part of our planning, we also strongly considered not hiring a photographer and just having one of our friends "take a few photos". As we got closer to our date, we decided to reach out to a couple of photographers and get some pricing. When my husband spoke to Sarah he immediately called me and said "you are going to love her!" I had no doubt I would, but my budget likely wouldn't. I ultimately decided to talk to her and he was right! When we talked to Sarah, hadn't even chosen a location for our wedding...by the time it was said and done she helped us determine WHERE would be the best place and WHEN would be the best time (for optimum lighting). The morning of our wedding, Sarah showed up at the hotel, helped get me, my large wedding dress and my small wedding party into her car and off to our wedding location. Sarah did such an amazing job and we had such a good time! Sarah is fun, charismatic, and was so amazingly patient with my 6 year old godson when he wanted to "help her take photos". Afterward she IMMEDIATELY went to work on our photos and even came back to the hotel within an hour to show us what she had so far and helped us get some photos online right away for our announcement. We got married at the Jacksonville Beach Pier at sunrise and when we were taking pictures, there was a significant amount of activity on the beach...people running, fishing and just observing. Not one of these people showed up in our photographs! Sarah not only has an amazing ability to interact with her clients, but her editing abilities are spectacular!As if that wasn't enough, she put together a beautiful video that my husband and I watch to this day and it still brings tears to our eyes. She then delivered all of our photos on a beautiful customized device. Hiring a photographer, and specifically Sarah, was by far the best decision we made for our wedding! She is now and will always be our family photographer. Sarah is wonderful! She's professional, hilarious and talented beyond belief, both my fiancé and I were relaxed and comfortable shooting with her and can't wait for her to shoot our wedding!! Sarah is hands down the best photographer I know! Not only is she a great photographer, but also a phenomenal person! I would highly recommend her for any of your photography needs!! She has done all of my head shots and will do my weddings and maternity pictures(when that day comes haha)!! I will be flying her to colorado to shoot my brothers wedding as well!!! 5 stars!! Sarah Hedden is simply fantastic! Seriously, she's the greatest person ever and an incredible photographer. From the minute you first talk to her, you can tell right away that she's not like any other photographer. She's super passionate about her work and about her clients. She will legit make you feel like you're her favorite person. I could go on and on about how amazing she is. Book Sarah Hedden Photography, you will not regret it!! Love you Sarah!! When I began my search for a photographer I was several months into wedding planning and frankly OVER IT! A friend of mine recommended Sarah and told me how great she was but I honestly had no idea what was coming! From Sarah's very first message to me I knew she was the one. She was the answer to all my wedding prayers! She's beyond organized, so much fun, and way more than just a photographer! When she says she does everything she really does! You forget something? She's got it! Need something cleaned up? She does it! All of this while most importantly taking the most amazing pictures I have ever seen! When your family and friends out of all things at your wedding point out how much fun and amazing your photographer was it really does mean something! Sarah is an amazing person with a huge heart and without a doubt I can promise you she will give you the best photography experience you could ever imagine! Wonderful, patient and considerate photographer-highly recommended! Sarah was very accommodating and patient with our high-energy subject 🙂 Love her work! She is so sweet and amazing with kids. I didn't know if my five-year-old was going to sit long enough to capture one photo. Sarah worked her magic and took an entire series of amazing photos of my son. Highly recommend. Great with kids...very professional and allows the children be their selves and that gives you beautiful and natural pictures. I strongly recommend her work. I found Sarah on a Google search when searching for newborn photographers and fell in love with her work and personality! She seemed so compassionate just from her Facebook and website that I was drawn to her and ended up booking maternity, birth, and newborn sessions. After meeting her months later for the maternity session, I realized she truly is one of the most compassionate and caring people I've met! She even took time to recreate Pinterest shots I brought it and outdid Pinterest! Her studio is amazing and an added bonus of the best views in Jax! She also photographed the birth and took breathtaking pictures of those memorable moments that we will have forever. She was so helpful during labor and I even had her cut the cord on my deployed spouses behalf! The newborn session was impressive and she was sooo patient! She has gone from being a photographer who pulled up on a Google search to being part of our family and our forever photographer. Each of our sessions had numerous breathtaking photos! Also, her full digital package price can't be beat with the amount of photos she edits that turn out perfect with same day previews and full gallery within a day! Sarah Hedden is the best and we are so happy we found her! I can't explain how happy we where with out wedding pictures that Sarah Hedden provided. We only spoke to her over the phone before our wedding and she gave us some directions and advice for the best time and place for our wedding to provide the best images. She was the perfect combination of professionalism and fun as you could as for. She will be responsible for all our family pictures going forward. Wonderful! I have a bashful toddler and Sarah was great wit her. Silly but professional. Got big smiles with her favorite cartoon and instead of forcing her to hold a certain pose like the other 4 photographers we've used, she let our girl guide the shoot. She really captured those smiles normally only mommy can get except great lighting, perfect focus, and expert shots! Would use again anytime. Worth it!!! Sarah is an amazing photographer! Very friendly and easy to work with! Her pictures are pure art! “I found Sarah on Google….and ended up booking maternity, birth, and newborn sessions. She truly is one of the most compassionate and caring people I’ve met! She was so helpful during labor and I even had her cut the cord on my deployed spouses behalf! The newborn session was impressive and she was sooo patient! She has gone from being a photographer who pulled up on a Google search to being part of our family and our forever photographer.